Another brilliant week of car news as the excitement builds up to Geneva on the 3rd March, including a new AMG C-Class, a Croatian electric hypercar and the first photo of Bentley's new supercar! 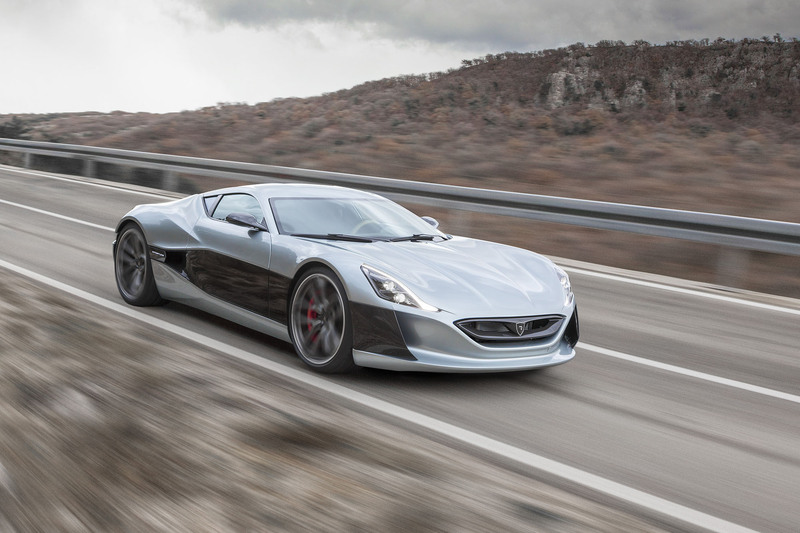 Croatian car manufacturer Rimac Automobili will show the world their electric hypercar dubbed the Concept-One EV. The car is a 1,073bhp beast powered by four electric motors, meaning some pretty impressive figures of 0-62mph in 2.6 seconds, 0-124mph in 6.2 seconds and 0-186mph in 14.2 seconds. Oh, and it also has a whopping top speed of 221mph. It puts the power down to an advanced all-wheel drive system which uses a smart torque vectoring system to ensure the power distribution to each wheel is perfect. Only eight examples have been built costing £676,000 each, with six already been sold. It'll make it's first public appearance at Geneva next week, where we'll no doubt be able to appreciate it in the flesh. It has been revealed today that the Mercedes C-Class Coupe will come in another form - the C 43. The C 43 is the little brother to the C 63, and is instead powered by the same 3.0-litre twin-turbo V6 found in the AMG SLC 43, meaning a 0-62mph time of 4.7 seconds and a power output of 362bhp. The car uses the same styling as the C 63 and comes with Mercedes' 9G-TRONIC nine-speed automatic gearbox, plus the 4MATIC all-wheel drive system. Prices and release date aren't known yet but rumours suggest the car will go on sale some time in the summer with prices starting at £47,000. Last year news emerged that Bentley would be producing their first supercar and the car in question has been spotted for the first time. The car is set to compete with the Aston Martin DB11 and Porsche 911 Turbo, with two engine's expected to be available - a 6.0-litre W12 and a smaller turbo V8. The pictures seem to show the car looking very similar to the concept that appeared at last year's Geneva Motor Show. Not much else is known about the car and we doubt it'll make an appearance anytime soon, however there is a possibility of it making it's debut in autumn at the Paris Motor Show, so we'll keep our eyes peeled. Last year at the Frankfurt Motor Show, Audi announced the S4 saloon. Well they've increased the lineup now by adding an Avant-equivalent, and here it is. Running the same 354bhp turbo V6, the Avant is set to hit 0-62mph in just 4.9 seconds - only 0.2 seconds slower than the saloon. It maintains the same sporty look that you'd expect from an 'S' model, with a quad exhaust system and sleek front and rear styling. Inside you'll find leather and Alcantara 'S' sports seats, with illuminated door trims and brushed aluminium everywhere. Prices are expected to start at £48,290 - about £2,000 pricier than the saloon - and will launch later this year. A faster and lighter version of the Evora 400 has been announced ahead of Geneva - the Evora Sport 410. The car is 10bhp more than the 400 due to some slight tweaks to its 3.5-litre supercharged V6, but more importantly it's significantly lighter dropping 70kg in weight. This weight loss is a result of some interior removal and carbon-fibre body parts, meaning a new weight of 1325kg. These figures combine to give the Evora Sport 410 a 0-62mph time of 3.9 seconds - the same as Ferrari F50. Only 150 models will be built costing £79,900 each, meaning the car's availability is likely to be short. It's available to order now though, so if you want one you better be quick!